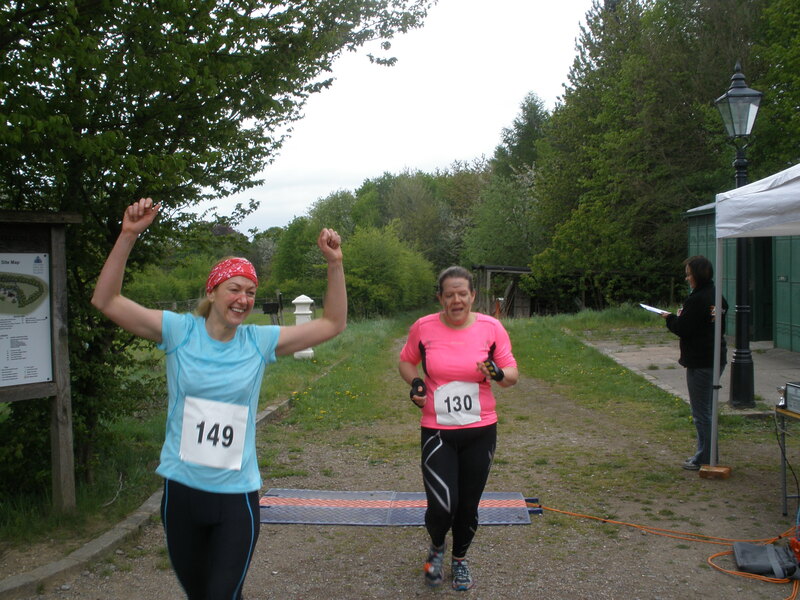 Running is a good form of exercise for many and can be great fun. However it is not for everyone and, confession time, I am one of those people.That said, I enjoy the atmosphere at events both the anticipation before the start and the exhilaration (and often relief) at the finish. I also like and admire the dedication people show in their training. So how to reconcile these two feelings? Well, I’ve decided that my role in life is as an ethusiastic supporter so here’s how I spent the last two weekends. On both Sundays we (I also ‘volunteered’ my husband) were marshals for Purple Patch Running, cheering the runners on, directing them along the route and handing out water. At the Stockley Park 10k, I met someone I used to work with who was running her first race so I made sure I was at the last 100m to cheer her in. Bank Holiday Monday saw me in Windsor Great Park jumping up and down screaming support for the 1200 ladies running the She Runs Windsor inaugural 10k. They also had a fantastic Expotique so got a bit of retail therapy too! Last Saturday was a first for me. Two of my ‘virtual friends’ were competing in the Chiltern Warrior 10k obstacle challenge at the Chiltern Open Air Museum so I popped along to meet Julia and Becca in the flesh and cheer them on, also acting as their official photographer. The weather held for all four events and I had a fantastic time soaking up the atmospheres. Unusually for running events, I came home with a sore throat not sore legs! So even if running is not your thing, please consider supporting those who love running next time there’s a race near you. A smile and cheer goes a long way.